When you have kids, you know that having something for them to do is important. If you fail to provide activities for these youngsters, the famous “I’m bored” will be heard before you know it. Summer is just around the corner, so to help keep their minds active, I came up with some unique and exciting DIY backyard ideas for kids. Some of the DIY backyard ideas for kids on this list are easy to create, while others are a bit more time-consuming. You can create a place for your children to play together or a place where they can relax. The ideas on this list vary greatly, but if you take a look at the gallery, I’m positive that you can find an idea that you can use to transform your backyard into a fun and entertaining place for your kids and their friends to enjoy the summer. Having the cool house when you are a kid is always exciting, and with your help, your kids can have that experience. In fact, you can even show them the ideas in our gallery and come up with ideas together that will make your backyard a fun place to play. Don’t forget to include them when you start making the idea into a reality. 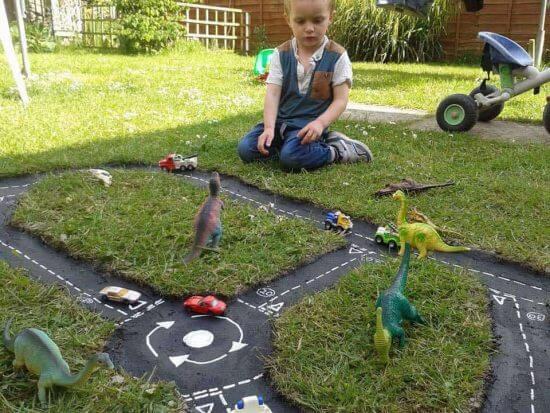 Somehow your kids’ favorite toys become even more exciting when you make an outdoor version of them. 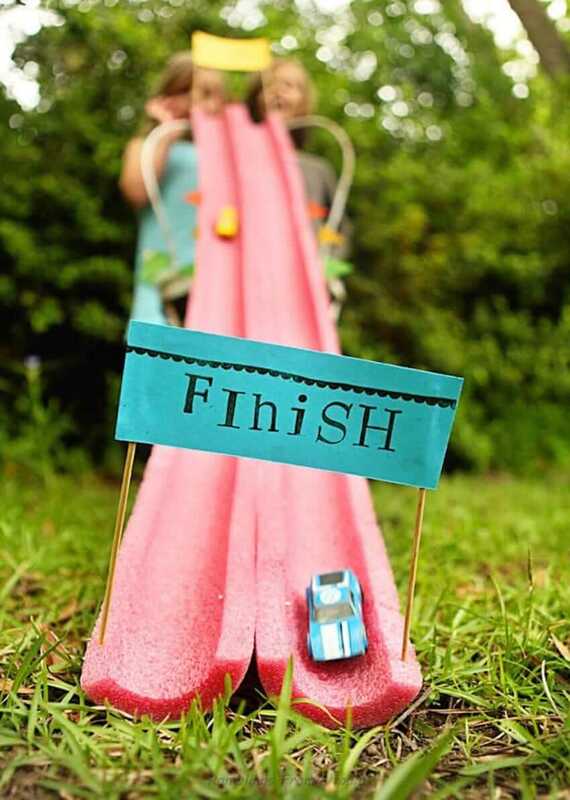 Zoom into summer by creating your very own racetrack right in your backyard! Ask for your little one’s input when designing the track and have fun customizing it with different vehicles, buildings, road signs, dolls and animals. 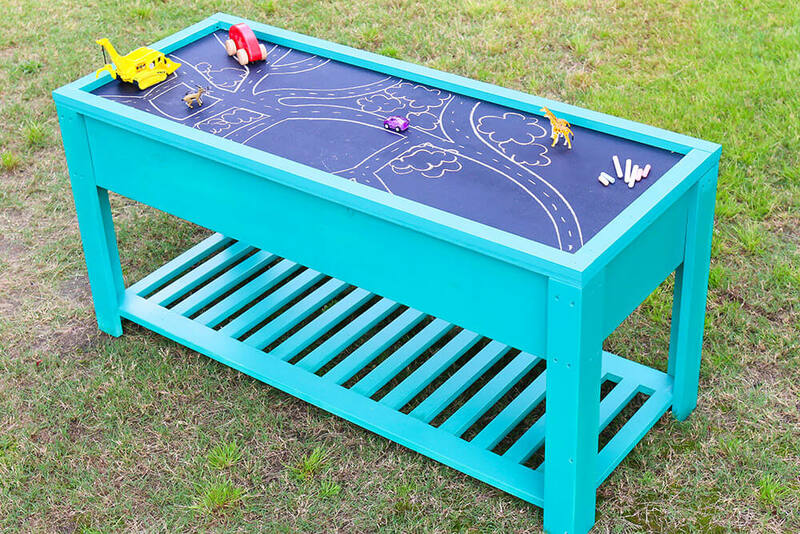 This is one of those great DIY backyard ideas that is so easy to put together but adds so much to your child’s play. Kids love to draw with chalk, but it’s not always convenient to supervise them near the street. Now they can create to their heart’s content right in the backyard. The handy bucket to hold the chalk is an adorable touch. 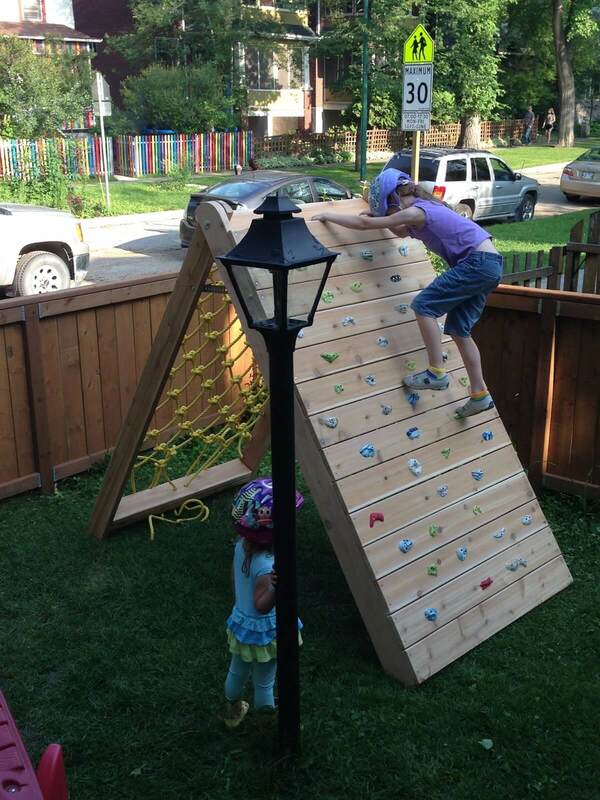 Even suburban backyards can become the scene of extreme sports with this awesome obstacle course set. The size makes it ideal for both kids and adults so you can join in the fun too. Race with your child to see who will be king of the mountain, but don’t take it too hard if you can’t keep up! Anchors away! 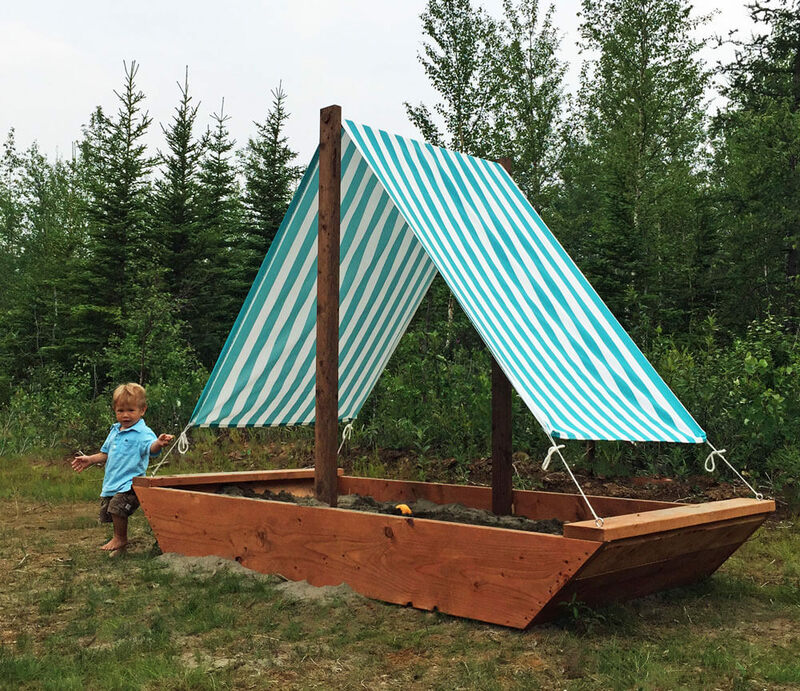 Make a sandbox even more fun by making it double as a sailboat. DIY backyard ideas can seem difficult or out of your reach, but this whimsical set can easily be accomplished in a weekend. The sail provides a shady spot to keep your first mate cool. Your child will be sailing the seven seas in no time! Sometimes DIY backyard ideas can be as simple as using items you already have in a new way, and this sweet outdoor lounge is a great example of that. 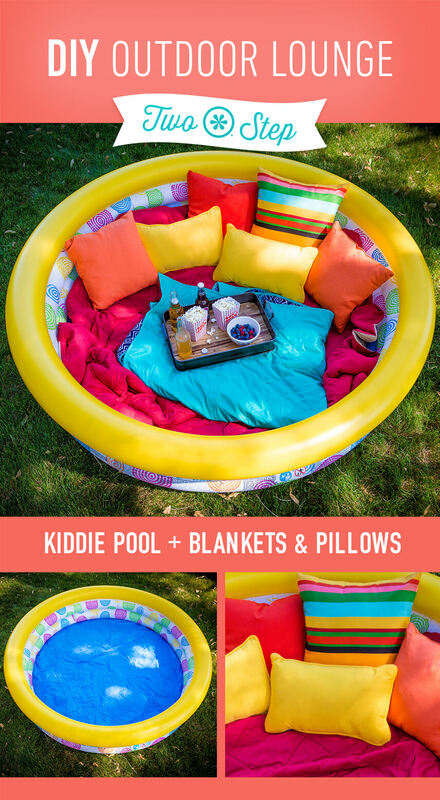 Adding some bright throw pillows and blankets to an empty kiddie pool can make your kids feel like they are living the high life. This sweet snack plate is sure to make any kid feel special. Summer evenings were meant for star-gazing, and your kids will never forget peaking out of this charming tent to wonder at the night sky. This awesome project works even if you don’t have much space in your backyard as it can easily be tucked out of the way when not in use. However, this tent is so sweet that your kids might never let you put it away! 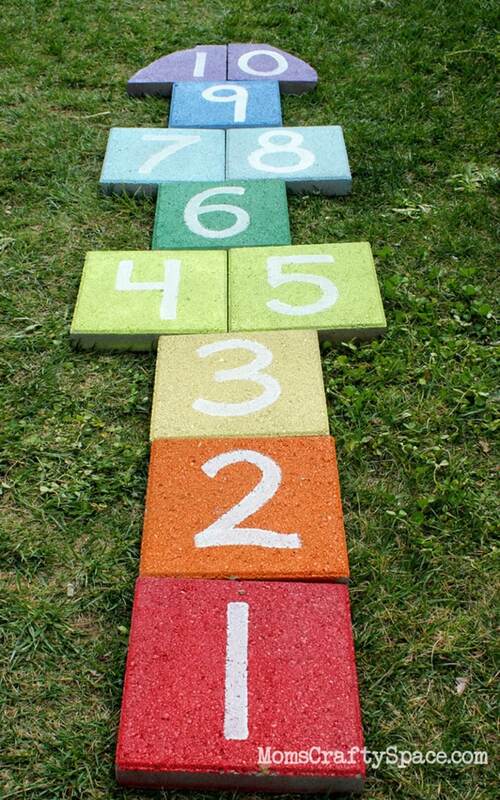 Fun with numbers is just a hop, skip and a jump away with this homemade hopscotch. Your child can help you pick the colors for the stones and place them in the correct spots. Even after your children have outgrown hopscotch, this is one of those DIY backyard ideas that doubles as a decorative memory of childhood. 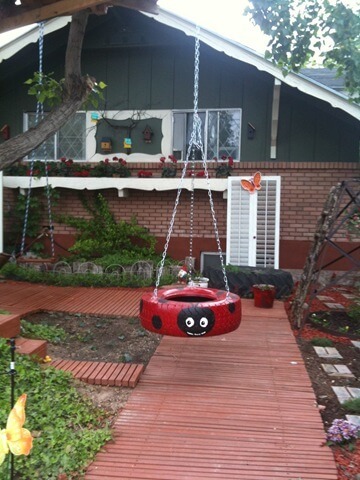 A tire swing is one of the best DIY backyard ideas out there, and this ladybug version is a creative take on the classic. Your kids will look as cute as a bug swinging through the breeze in this unique swing. 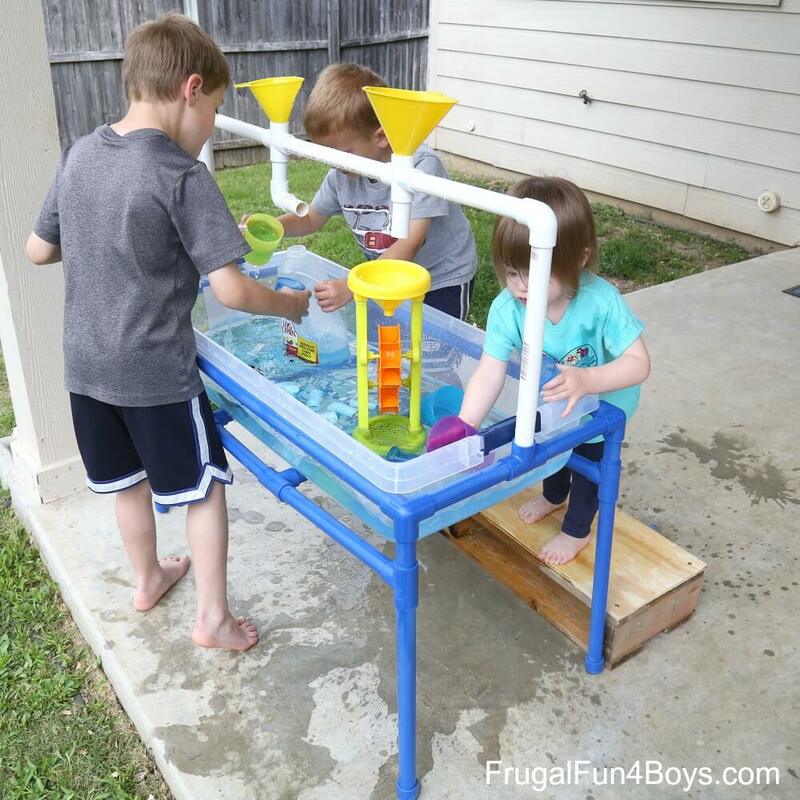 Your budding scientists will be busy for hours with this DIY water and sand table. 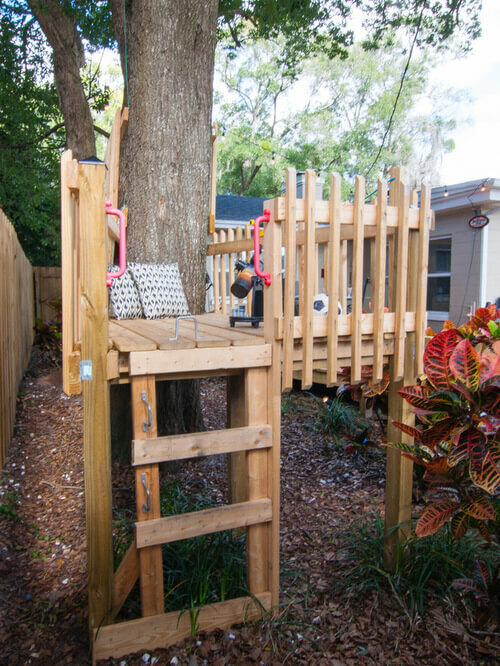 This is one of those DIY backyard ideas that is even better than what you can buy in a store as the pieces can be taken apart and put together in any way your child desires. We love the addition of extra pieces such as funnels, a baster and different sizes of cups for expanded exploration and fun. 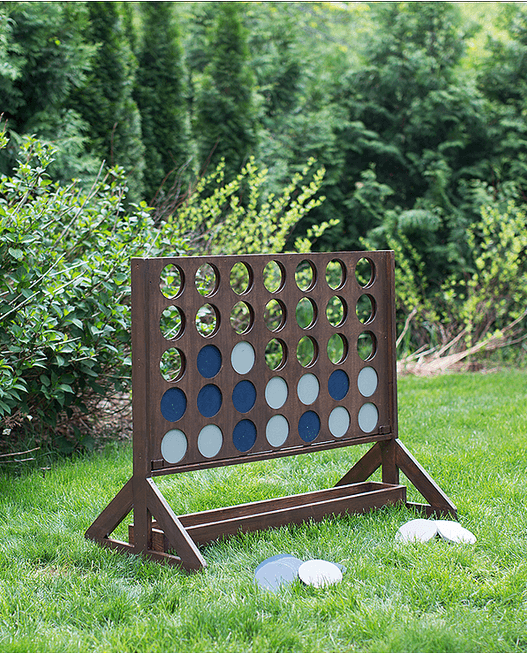 Bringing your favorite games outdoors can be great fun for the whole family, and this outdoor connect four is sure to be a hit at your next cookout. Your kids can choose their favorite colors for the game pieces and even help paint them. 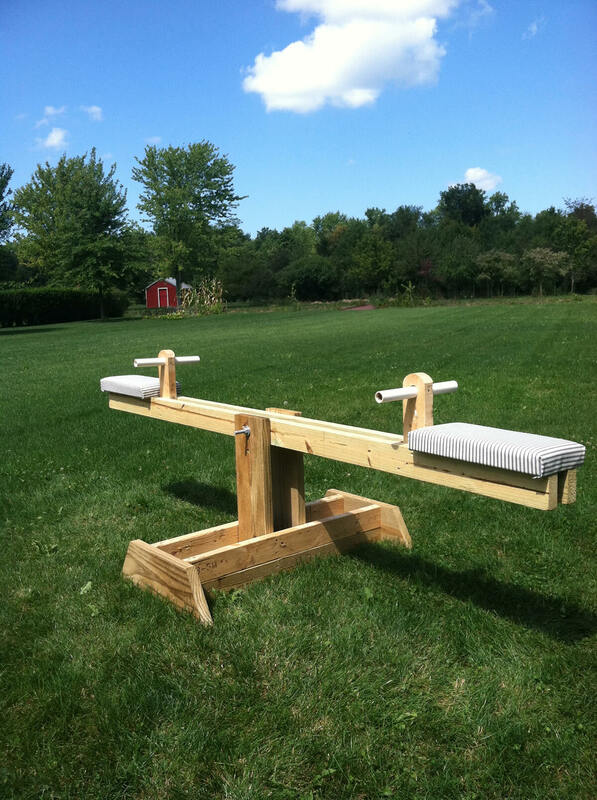 Create your child’s favorite playground piece right to your backyard with this tire teeter totter! 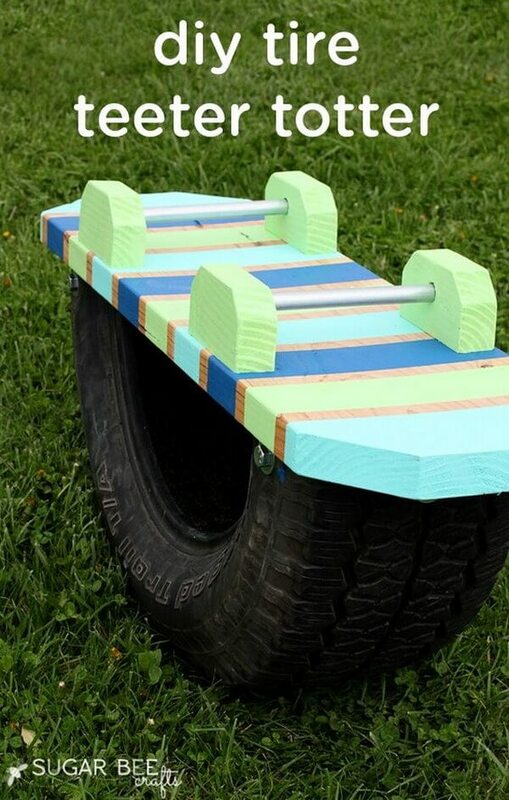 Scrap wood, leftover paint and an old tire make this a planet-friendly craft that is sure to make your children smile. 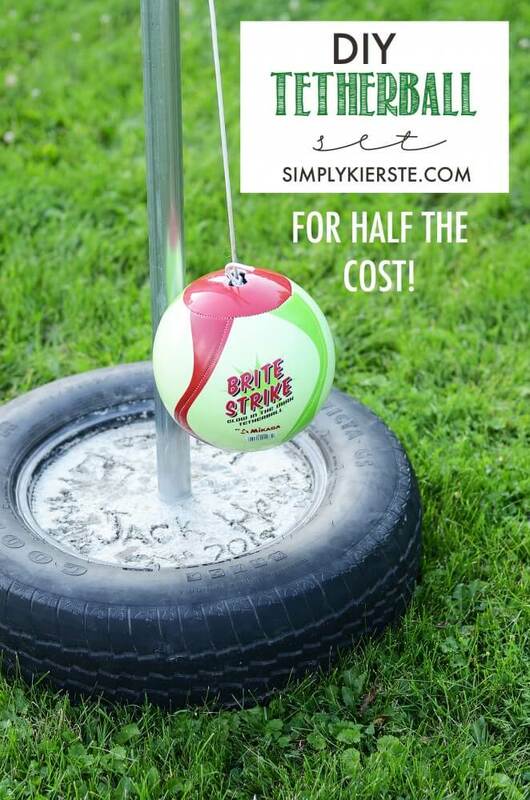 Since it only uses half a tire, you could easily make a second one to gift to someone special. Warning: only attempt this project if you want the coolest backyard in your neighborhood! Some DIY backyard ideas just invite creativity, and this is definitely one of them. 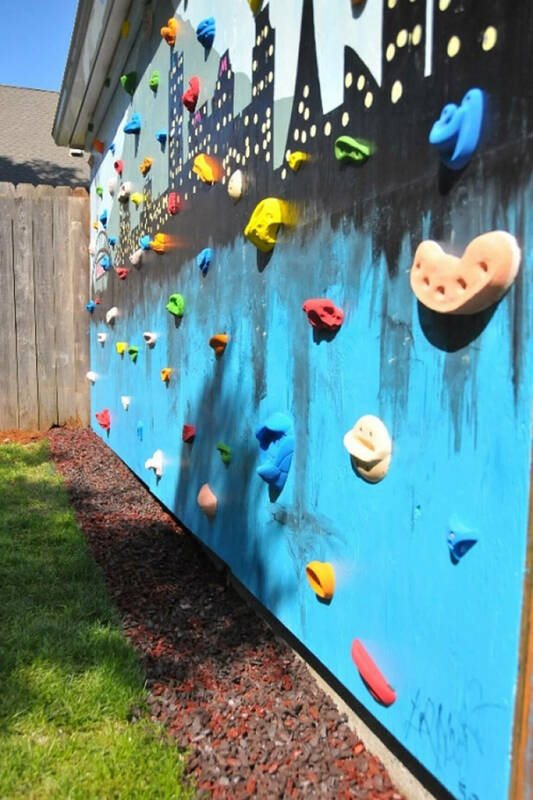 Designing and painting a mural in your backyard is a fantastic summer project for an older child, and the fact that it is also a climbing wall means that your backyard is the new hangout spot for all of their friends. Better stock up on snacks! Is there any better way to spend a summer day than playing in the water? Sometimes the sprinkler and the kiddie pool can lose their appeal though, and you need something new. 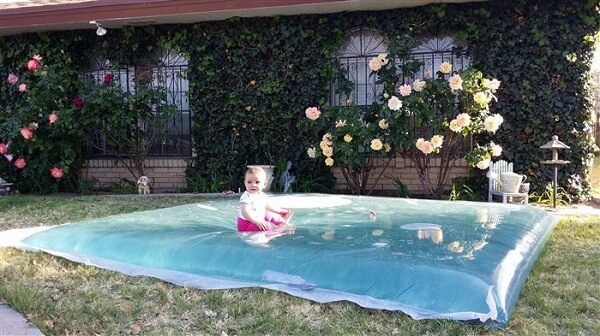 Your kids will spend hours exploring and playing with this massive water pillow, and it’s a breeze to set up. 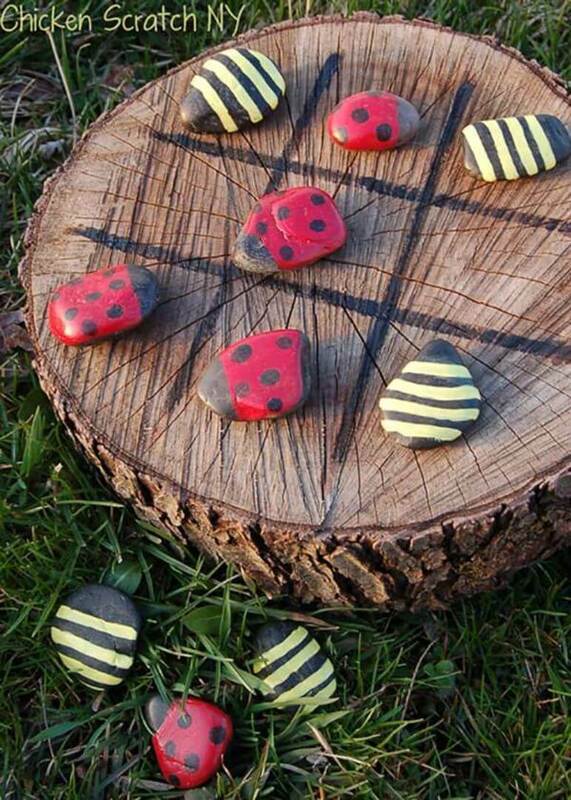 DIY backyard ideas don’t have to be large or complicated, and this cute tic-tac-toe set is proof. Spend an afternoon painting these simple pieces with your child, and then spend many more playing game after game in a shady spot. Whoever gets three in a row first has to serve lemonade! 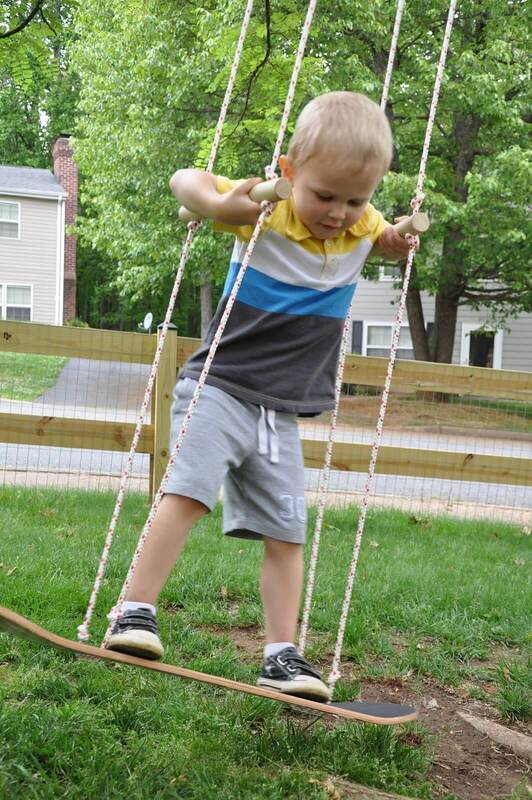 Add a little street style to your backyard swing by making it out of a skateboard! We just love DIY backyard ideas that can be accomplished quickly, and this one comes together super fast. This creative concept is also a great way for little ones to practice balance while feeling like an oh so cool big kid. The best gift you can give kids is a little place to call their own, and this one is sure to delight them. We love how the curtains in front can be drawn for secret club meetings, and the walled and roofed design allows them to enjoy a gentle summer shower from the safety of the fort. 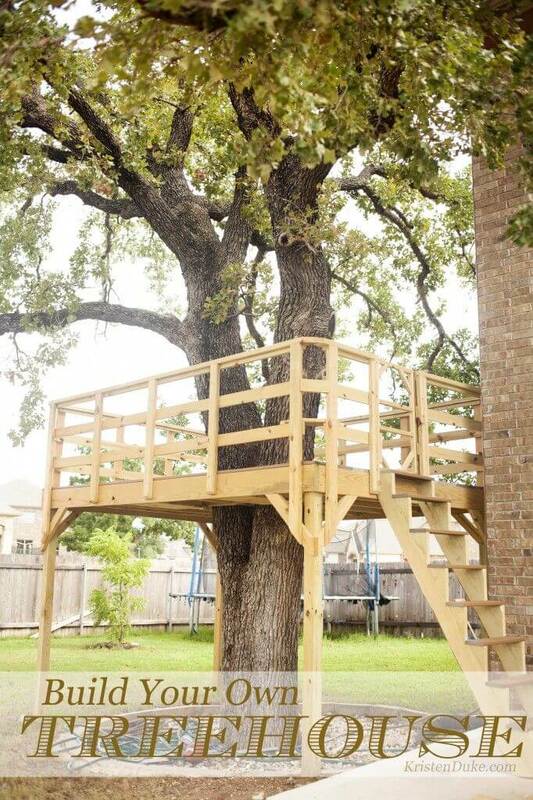 A classic treehouse will never go out of style. It’s amazing how a simple structure can inspire so many memorable hours of play. The only thing better than watching this project come together will be climbing up and peeking out over the tree tops for the first time. Games that have simple rules are perfect for family use as even little ones can join in the friendly competition. 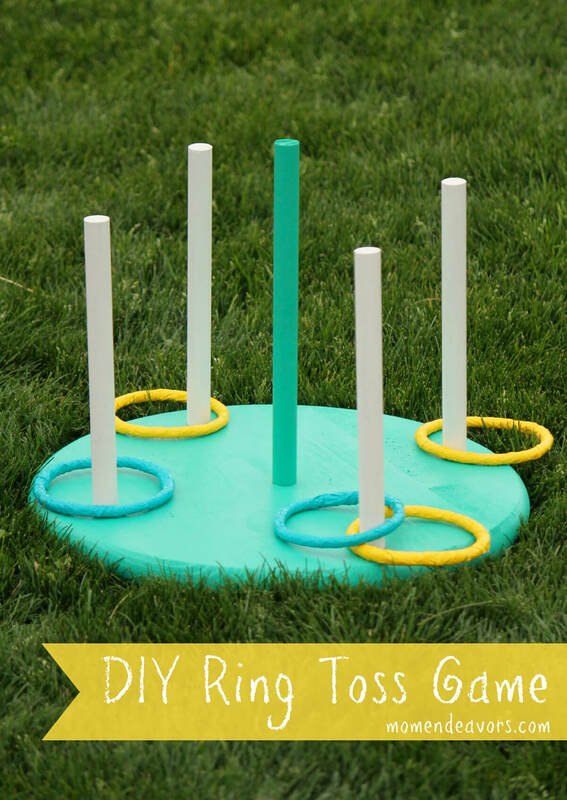 DIY backyard ideas that are portable like this ring toss game mean that you can carry it anywhere you like. Bring it to the family picnic or the next backyard barbecue to share some fun. Gazing up into the trees while dappled sunshine peeks through, feeling the breeze through your hair as you sway and twirl: these are the things that make a perfect summer day. 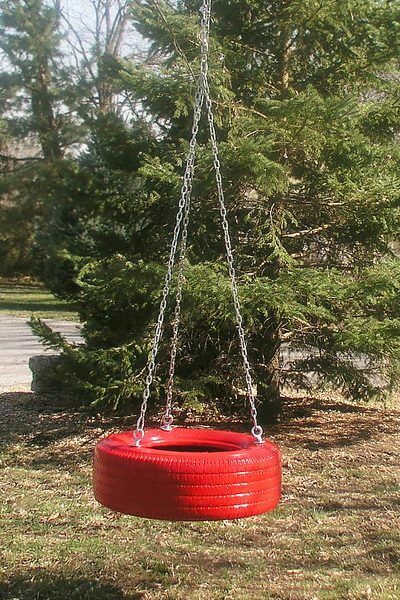 A tire swing is an old favorite for a reason. Keep it classic or paint it your favorite color! DIY backyard ideas can be a great way to add some family culture to your home. Brainstorm with your children: what are some of their favorite places they’ve visited in books? 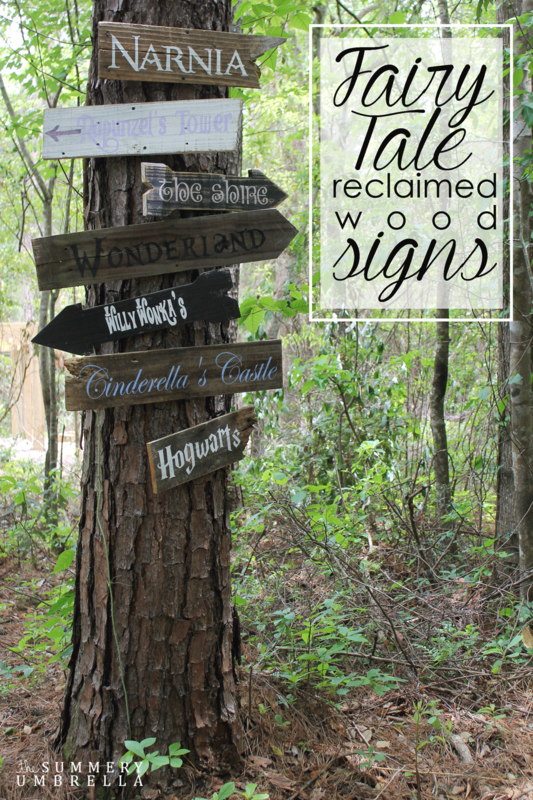 Then surprise them with these fairy tale road signs which will inspire imaginative play and serve as a cherished reminder of their favorite books. These are a great conversation piece for when company comes over too. This cute tree house is tall enough to satisfy their taste for adventure, but low enough to the ground to put you at ease. But why stop there? Installing creative accessories like a telescope and a water balloon launcher can get you quickly promoted to the best parent ever. They might never want to come inside again! Shady places can be a refuge from the hot summer sun. 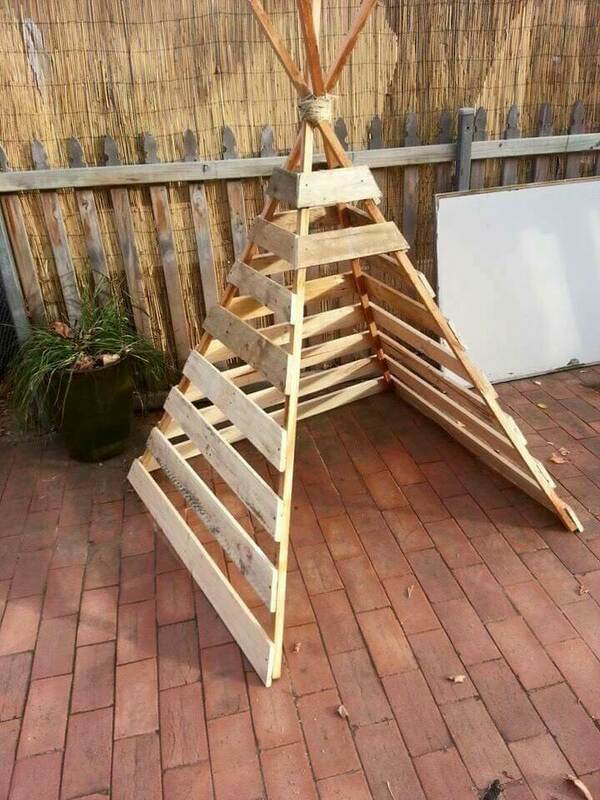 DIY backyard ideas that use pallets are relatively easy because a good part of the work is already done for you. 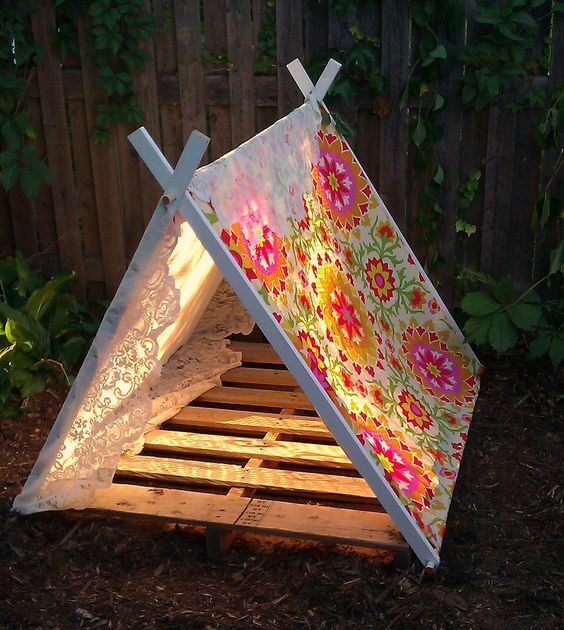 This teepee is the perfect place to enjoy some summer reading or chat with a friend. You can even drape a sheet around it for an extra cozy feel. Tetherball is one of those games that is making an awesome comeback as people remember just how fun it is to whack a ball around. Have your kids trace their names or press a hand print into the drying cement to create a family treasure. Belly laughs will ring throughout your yard as your kids enjoy this game from your childhood. If there is anything more fun than a swing, it’s a swing that multiple people can enjoy at once. 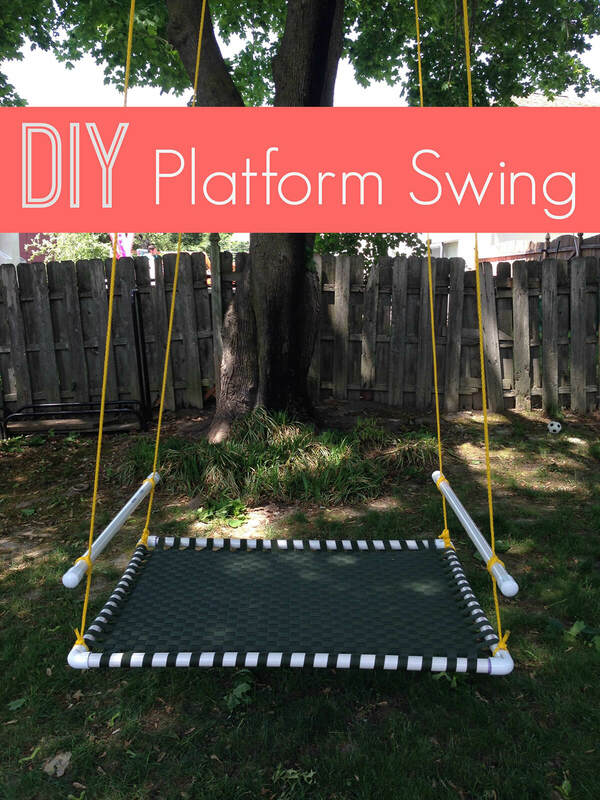 Platform swings like this are popular at sensory gyms and can set you back a pretty penny, but DIY backyard ideas can save you money while making a backyard piece your kids will spend hours on. What could be more fun than your very own speedway? 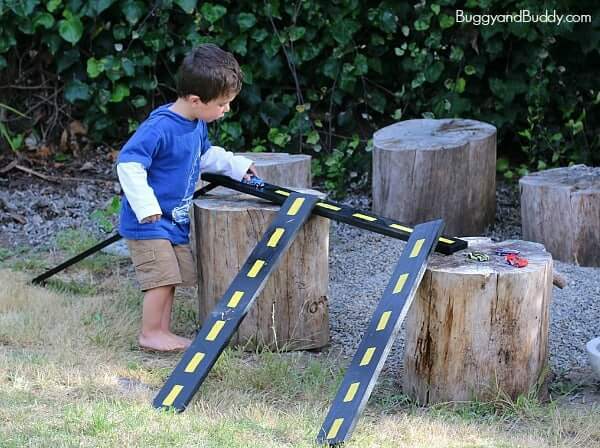 Your kids can use their imagination to set up the track in any way they choose, using the natural landscape of your yard to create steep highways, tall bridges or a grid of city streets. Kick the fun into high gear and then easily store it out of sight when they run out of gas. Summer snacks and meals just taste better al fresco. 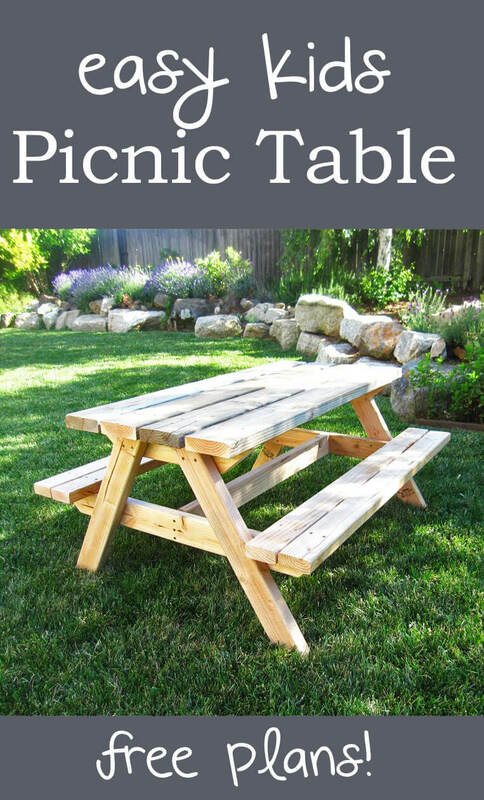 Whether you’re enjoying a neighborhood barbecue or an afternoon running through the sprinkler, this child-size picnic table means the outdoor fun doesn’t have to stop when it’s time to eat. Have a snack, do some outdoor drawing or play a board game in the shade with this classic piece. 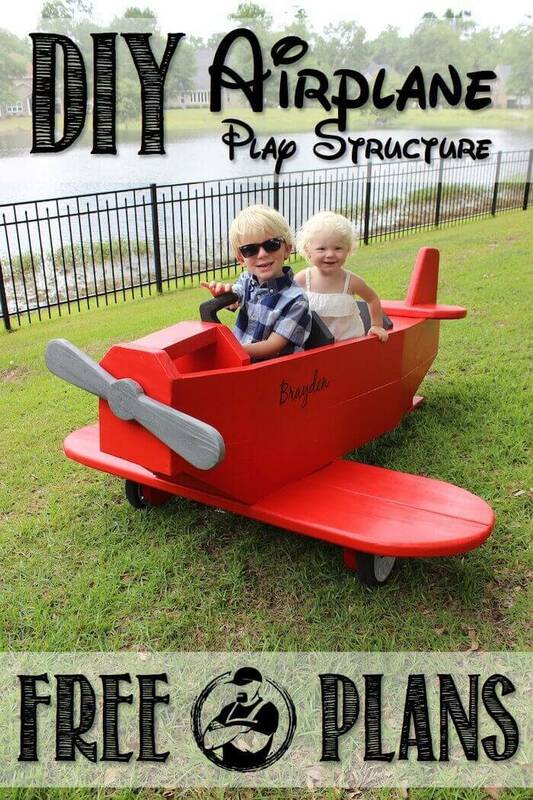 Unique play structures like this airplane add a pop of fun to your yard and inspire hours of imaginative play. Fly with your little pilot to the North Pole, the jungles of Africa or maybe just to Grandma’s house and watch their play soar. Let them help you paint it in their favorite color and you’re ready for take off! This delightful swing is not only pleasing to the eyes, it also fits kids of all ages. The xylophone design makes it easier for little ones to balance, but also expands to fit adults who are still young at heart. 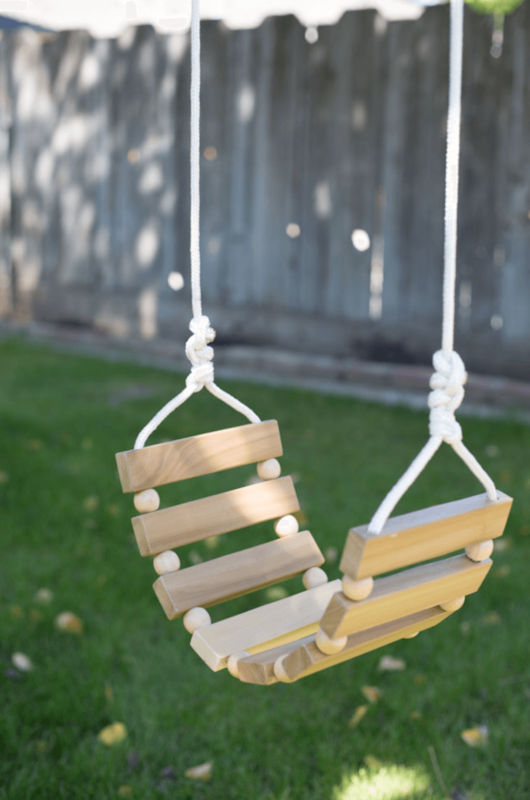 The best DIY backyard ideas are simple projects that will last for many years like this sweet swing. Race to the finish line with this frugal pool noodle ramp! This project is a snap and can be completed start to finish in minutes, making it the perfect solution to the chorus of, “I’m bored!”. Soon all you’ll hear is giggles as you kids race their favorite cars down the track. DIY backyard ideas like this one combine fun and functionality. 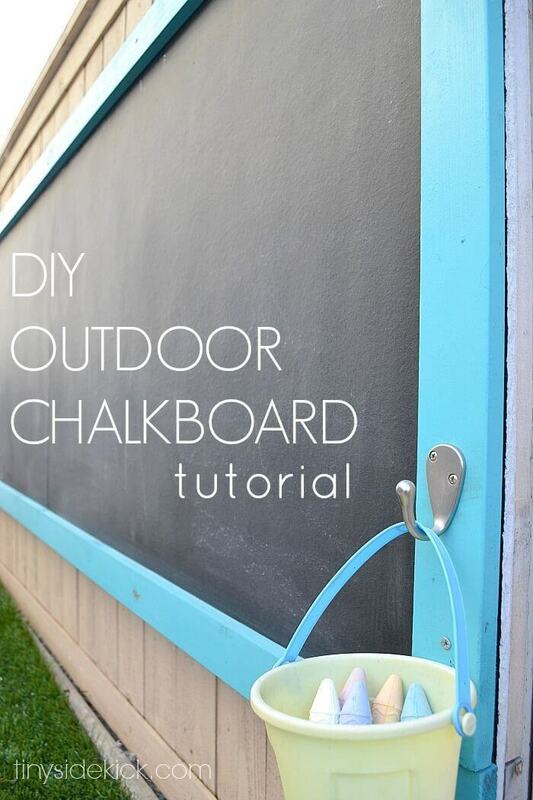 The lid serves to keep the sand and water station out of the elements, but it also adds a new way to play by doubling as a chalkboard. Bring all the fun of the beach right to your backyard with this intuitive design. 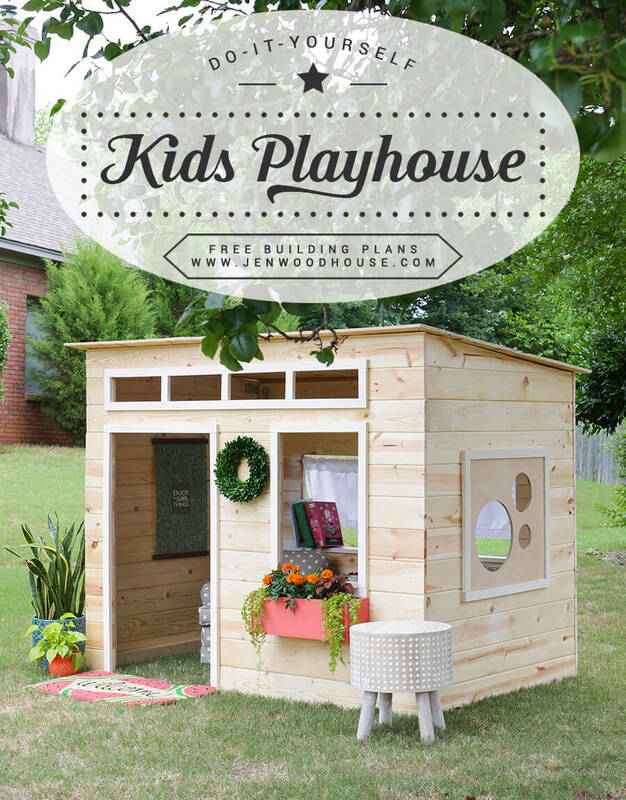 Is there anything more beloved than a child’s playhouse? Let your child help you draw up the plans and hammer in the nails on this sweet cottage, and then help them decorate the inside with their favorite things. DIY projects like this one can be a little more involved, but the outcome is so worth it. 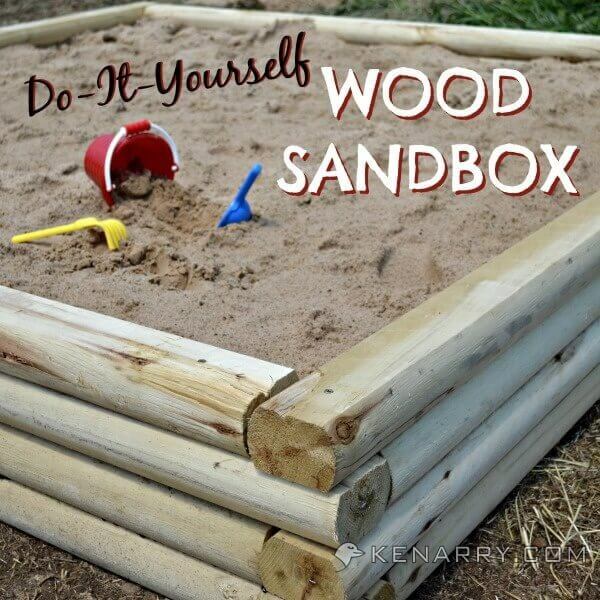 If you’ve ever wished your child would play outside more, build this sandbox. Creating castles, digging pits and feeling the sand sift through their fingers will keep your little one happy and busy for hours. The sturdy lid doubles as a platform and keeps the critters out of your child’s new favorite backyard spot. Bond with a buddy while bumping up and down on this sturdy seesaw. DIY backyard ideas like this one bring big fun to your home, transforming your yard into a play area that rivals your child’s favorite park. Invite a few of their friends or hop on yourself for a rollicking good time. 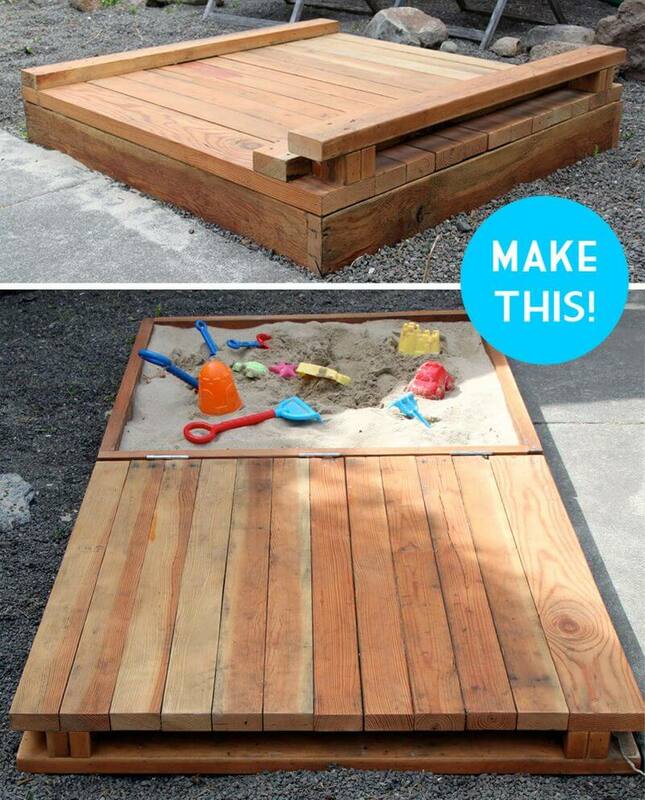 Sand play is just a few steps away with this streamlined sandbox. 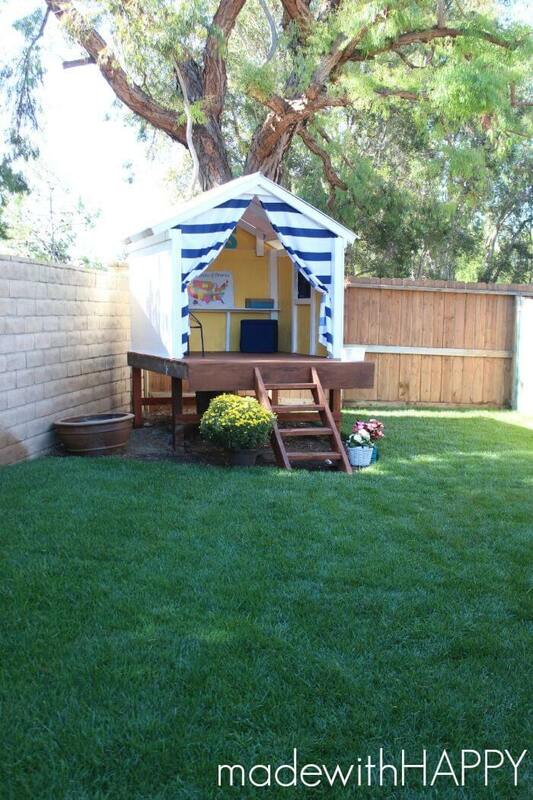 DIY backyard ideas can be a great way to bond with your kids. They’ll be so excited to help you stack the wood and pour the sand in this special place made for them. You might enjoy this project just as much as they will. Is there any better feeling than burying your feet in the sand?